Weiss & Company provides highly personalized, professional tax, accounting, and consulting services for our clients’ success. Weiss and Company is an accounting firm providing highly personalized and professional services at reasonable rates. The company has been owned and operated by Frank Weiss since 1991. Our firm’s experience consists of providing accounting and tax services for individuals and businesses in the Tampa Bay area. Our team is committed to providing close, personal attention to our clients and we take pride in providing business owners such as yourself with exceptional income tax and accounting service from our training, experience and financial knowledge. Frank Weiss is the founder of Weiss and Company Certified Public Accountants. In addition to his expertise in accounting and finance, he is a skilled communicator. In 1983, he became a proud graduate from Florida State University with a Bachelors in Accounting. He then went on to become a Certified Public Accountant in 1985 and has been licensed in the state of Florida since then. Realizing how important financial accounting and taxes are to individuals and businesses in today’s finance driven society, Frank went on to start Frank Weiss, CPA in 1991. He soon found that supporting clients in their accounting and tax needs during both thriving and difficult economies has been a positive and rewarding experience. After an extended period of growth, he changed the company name to Weiss and Company, Certified Public Accountants, PA in 2018. The name change comes in response to expanding the company’s staffing requirements, as well as helping to improve the growing need for increased marketing efforts. 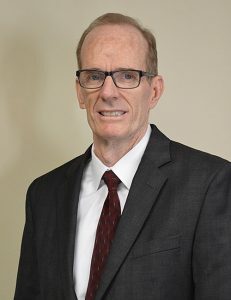 Today, he is an active member of the American Institute of Certified Public Accountants and the Florida Institute of Certified Public Accountants and brings over 30 years of experience and value in public accounting. Frank currently resides in Clearwater, Florida with his wife. Together, they enjoy live music and traveling. Family takes top priority, so Frank spends his free time with his wife and finding ways of supporting his children in their activities, especially his daughter, Rachel, who plans to one day become a partner in the business. Laura Lane brings more than 20 years in diverse tax, financial, and business consulting experience to her role as a staff accountant with Weiss and Company. She graduated from Florida State University with a masters degree in accounting in 1998. 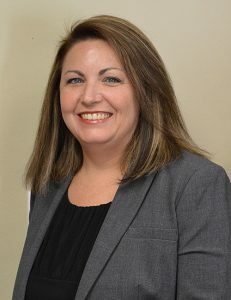 She has been licensed as a Certified Public Accountant throughout the state of Florida since 1999. She is dedicated to helping clients achieve business success by helping them establish practical, sound tax and financial processes. She is focused on services for small to medium sized businesses and has experience in audits of government entities, non-profits, privately held, and publicly held corporations. For her clients, she is committed to delivering tax and financial services that meet each client’s unique objectives. Laura has gained extensive accounting experience through senior accountant and management roles for a variety of companies and CPA firms located in Central Florida. For small to medium-sized businesses, she has expertise in tax preparation, including individual federal income tax, corporate federal income tax, sales tax, and payroll taxes. 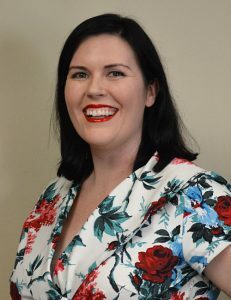 In addition, Laura has expertise in consulting and supporting computerized accounting systems. Rachel currently works alongside her dad and manages the day to day business activities that help keep Weiss and Company running smoothly. Her enthusiasm brings breath of fresh air to the Weiss and Company offices. Rachel graduated from University of South Florida in 2011 with a Degree in Secondary Social Science Education and a minor in history. For over five years, she worked in the public education sector where she learned that she had a passion for helping others. The leadership and people management skills she acquired as an educator have made her a valuable asset to the Weiss and Company team. Recently, she chose to leave education and has enrolled in the University of South Florida’s accounting program in St. Petersburg, Florida. She plans to graduate with a master’s degree in accounting and strives to become a leading accountant and partner in the Weiss and Company organization. To talk to the Weiss and Company team about your corporate accounting needs, please use our contact form here or call us at (727) 523-8762 today.